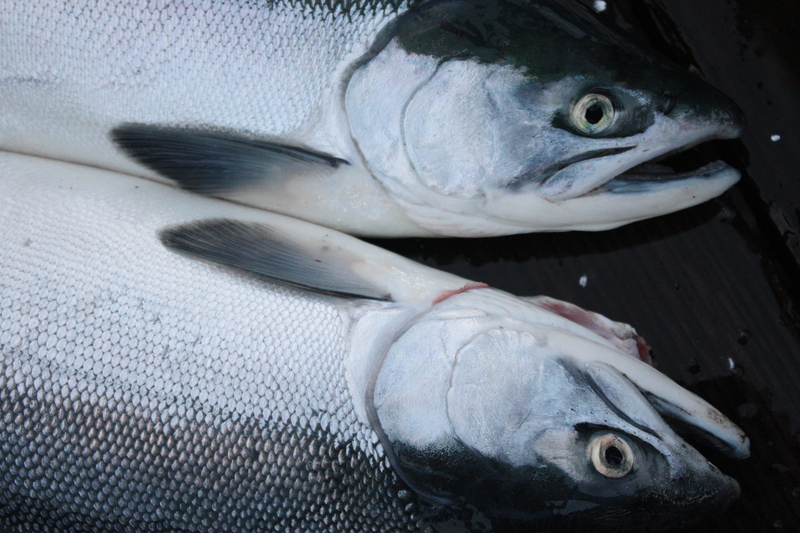 In Seward we are lucky enough to have all 5 types of salmon run in our waters. The king (chinook), sockeye (red), coho (silver), pink (humpback), chum (dog) salmon all run up rivers in the area to spawn and therefore almost all summer long its possible to fish for and catch plenty of them (6 per day with license). In honor of Memorial Day we had an Alaskan style barbeque. A fisherman friend of ours brought nearly 20 pounds of ling cod and tender juicy halibut. 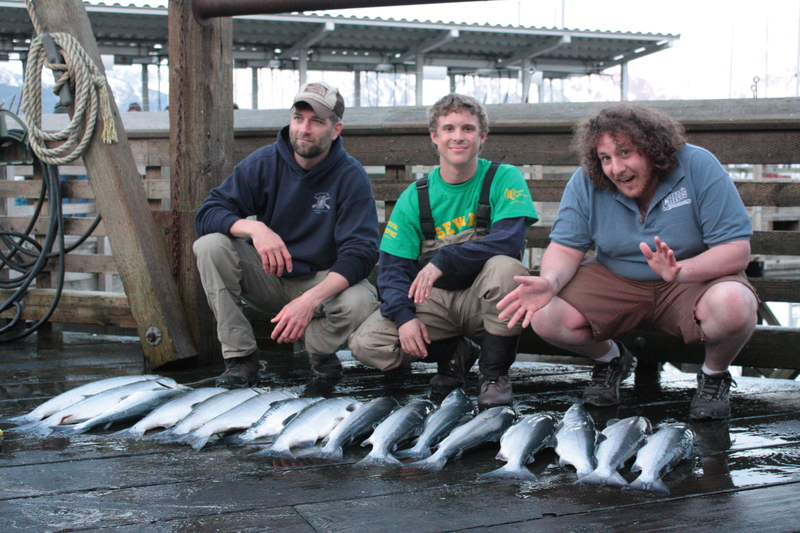 A few people in the bunkhouse went fishing and caught 17 gorgeous sockeyes and we had a delicious feast. America! This entry was posted in Alaska, Exotic Food and tagged fishing, Memorial Day, salmon. Bookmark the permalink.